An easy-to-apply, liquid eyeliner with a foam tip that's both long-lasting and highly-pigmented. 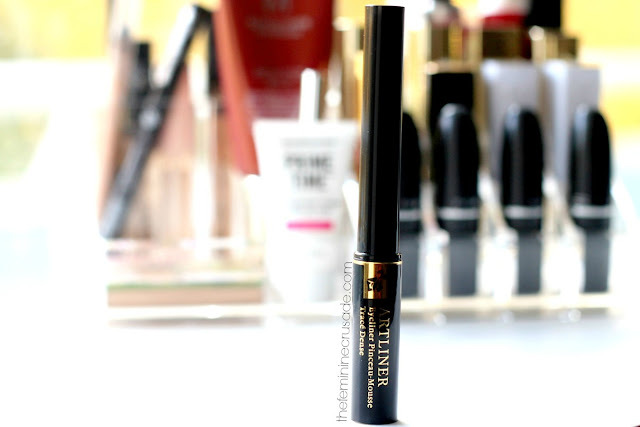 Artliner’s unique applicator and easy glide allows you to manage liquid liner and create different looks for your eyes without smudging or skipping. 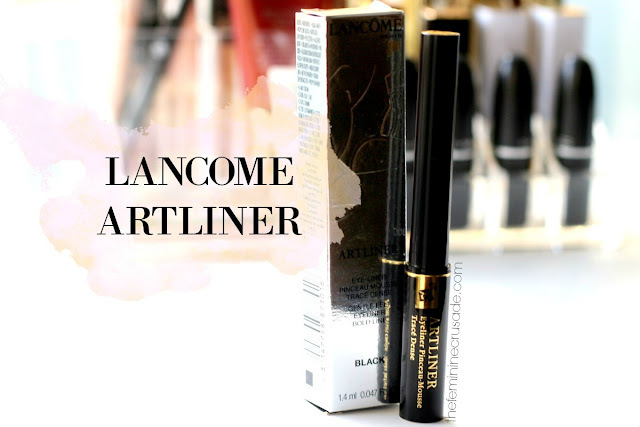 Meet my new best friend - the Lancome Artliner! To be honest, I would never have purchased such a pricey eyeliner which I am done with in every 2-3 months. But there's a story...at the beginning of this year I bought the Sephora Favorites Glitz & Glam Party Essentials kit which cost only $45 and had a value of around $156. It was jam-packed with ah-mazing stuff, one of them being the current love of life, this Lancome Artliner in 'Noir'. I have been using it ever since this kit came in my possession and this month I already got myself a backup. That's how much I love it! I find the Artliner to be a mix of felt-tip and liquid eyeliner. You know with felt-tips, the more you use them, the less stiff their tip gets and the product keeps losing pigmentation. 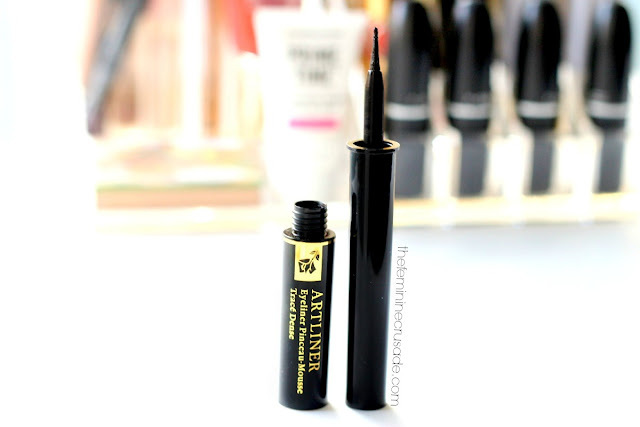 The fact this Artliner has a foam tip, it provides with the same ease of use but the product is inside that little tube it comes in. If you find its tip drying out, just dip back, shake the tube and voila you can line with the same intensity. Noir is a super-intense black shade which is perfect for precise defining of the eyes. Though the eyeliner is not waterproof, it does not budge or smudge on my eyes all day. Also I don't understand why this falls under the waterproof category all over the web. I am able to wipe it off with just a wet finger. And I don't see it surviving the rain either. I have been using the Artliner since April and even though I have bought a backup, I am not near finishing my first one. So, it definitely lasts a long time as well.I am a winged-eyeliner girl and this is the quickest, most effective addition to my routine. I don't have to worry about dipping my brushes into gel-eyeliner or re-lining with liquid ones. This one thing..and I am good to go! It is perfectly opaque, rich and dark. Pricey? Yes! Worth it? For an eyeliner addict like me, DEFINITELY!